While we are assessing students on skills throughout the school year, Art, Music, and P.E. teachers contribute grades to the students report cards during the 2nd and 4th marking periods. The second marking period report cards were posted to skyward last week. Often times, people miss the grades/comments given by the F.A.P.E. 's teachers because they are at the very end of the report card on the page AFTER the classroom teachers comments for the marking period. If you haven't had a chance to look at your child's P.E. report card yet, you can do so by clicking on the link below and logging into Skyward. Click here to log into Skyward Family Access to see your child's P.E. report card! This past week, many teachers participated in Walled Lake's Digital Learning Day/Week. The idea behind Digital Learning Day was to find creative and meaningful ways to incorporate technology into the students daily lessons. In P.E., the students got to enjoy several stations that incorporated the use of technology when they came to the gym. The two favorite activities were the Wii exercise station and the use of the "Virtual Active" Ipad app that allowed students to take a virtual run through the Grand Canyon! Other forms of technology that students got to experiment with included the use of digital heart rate monitors, pedometers, video assessment Ipad apps, and an interactive website that allowed them to test their knowledge of the skeletal system. The students had a ball using the various forms of technology and are looking forward to continuing to use some of these tools on occasion during P.E. At one station students used heart rate monitors to see how jumping rope influenced their heart rates. These students are taking an online, interactive "Bones Quiz"
Students are exercising with the wii game "Hollywood Workout". Students are using an Ipad during P.E. to take a "virtual run" through the Grand Canyon! This week during P.E., the students have had a chance to compete in our Glengary version of the Winter Olympics. During class this week, students entered the gym to the sounds of the Olympic Theme music. 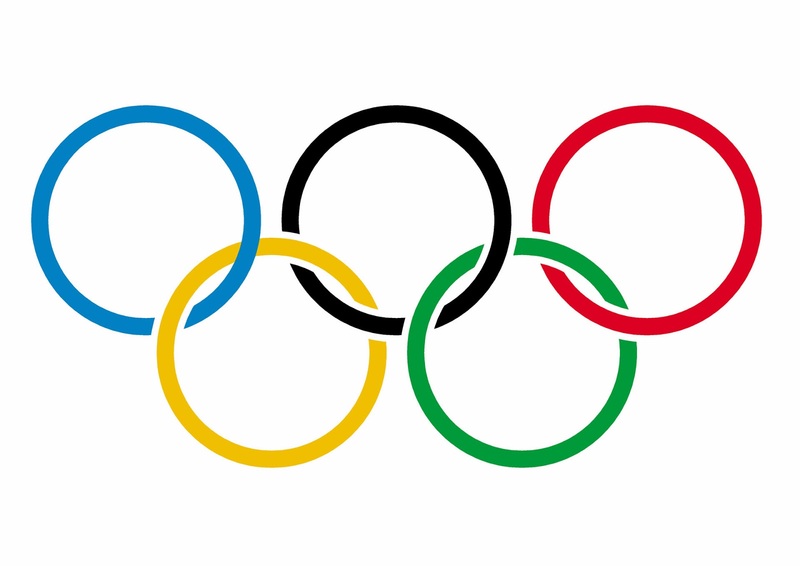 They were divided into countries/teams and competed in various events including the Olympic Torch relay, Carpet Square Ice Skating, The Olympic Ring teamwork challenge, and Scooter Bobsledding. And since the Olympic Games are built around the idea of good will and sportsmanship, we celebrated the winning team by playing their country's national anthem while the rest of the students gave them congratulatory high fives! Below are a couple of short videos of some of the events. I am issuing a challenge to our Glengary students this week as we go away for. 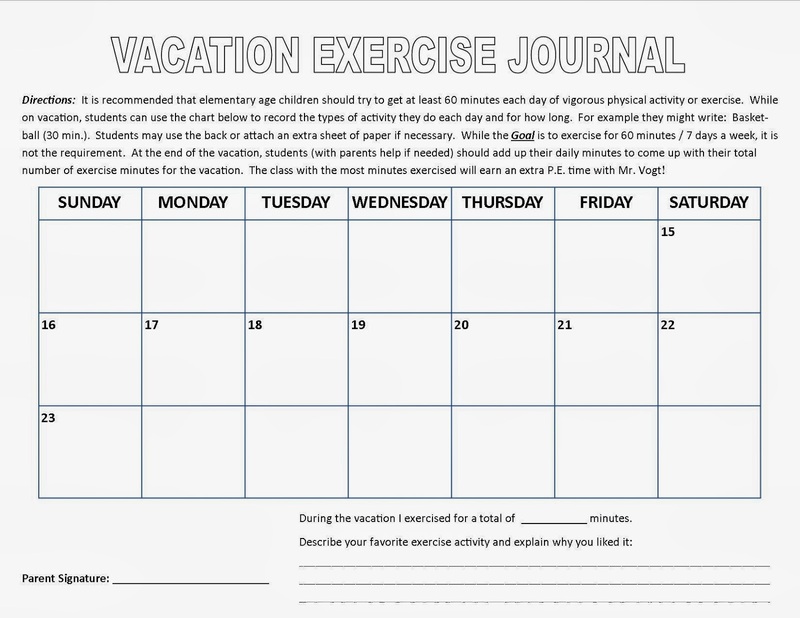 Each student is bringing home a vacation exercise journal that they may use while we are off next week. Students who decide to participate are asked to log the types of physical activity that they do each day along with the number of minutes. For example, on Saturday someone might write, Sledding 45 minutes. Students will use the calendar provided to keep track of their minutes of exercise/activity and total them up at the end of the vacation. When we return, students will turn the papers in to me by Feb. 25th. The class that accumulates the most minutes of activity during the break will earn an additional 30 minutes of P.E.time with Mr. Vogt! I will be looking forward to reading about all the different activities you did while we were off. Have a GREAT VACATION!